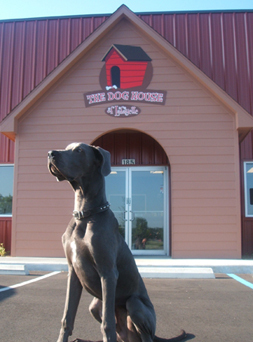 The Dog House of Lafayette opened June 27th 2009. We have since built a very large and wonderful customer base to whom we have become very attached. Our clients have become a part of our family. We are able to see puppies grow up and dogs grow older just as if they were our own. They are all truly very unique and each and every one has a special place in our hearts. We are open from 7 AM to 7 PM, seven days a week, 365 days per year. Stop by our facility to learn more about us and what we do and how we can make your dog feel at home.